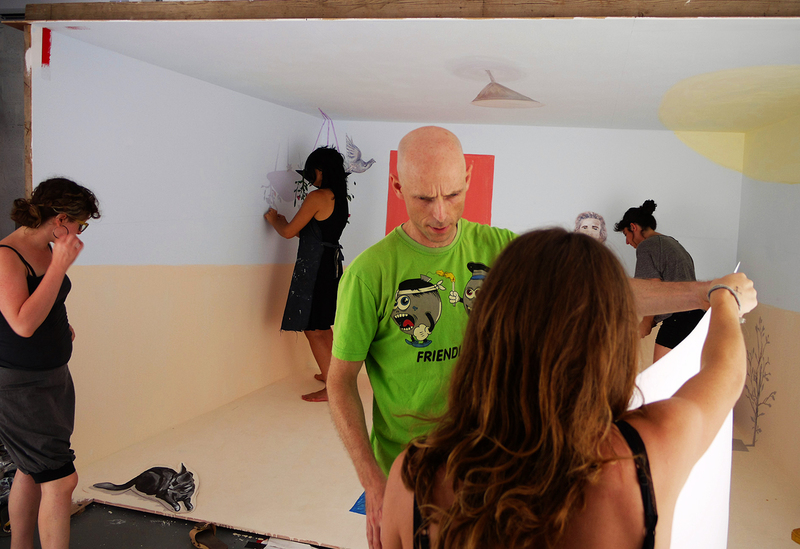 Known for his innovative video works, French-Israeli artist Michel Platnic is now working on an all-new epic creation. During production, I had the luck of joining Serge Tiroche, along with other collectors and friends to visit him in the studio and see his vision come together. Stepping into the studio, we were overwhelmed with various props – planets, animals and plants, and a scene setting constructed specially for the project. In front of the setting, Tom Kouris, the "stop-man", filmed the scene with his 4K video and stills camera, and mixed film with stop-motion techniques to create the illusion of movement with the props. Platnic calls the project "Genesis", and explains that in the process of creating the artwork he is "building the world and leaving the world." The video will follow Michel’s journey from the beginning of the world, as we know it, until the end. Inspired by the story from the Bible, the world is birthed over several days, but Platnic not only "creates" the different elements, but also uses them for survival. "I catch the bird, I fish the whale, I drink the water from the pond," describes Platnic. Slowly nothing remains, everything goes up in smoke, until the setting goes back to the way it was. 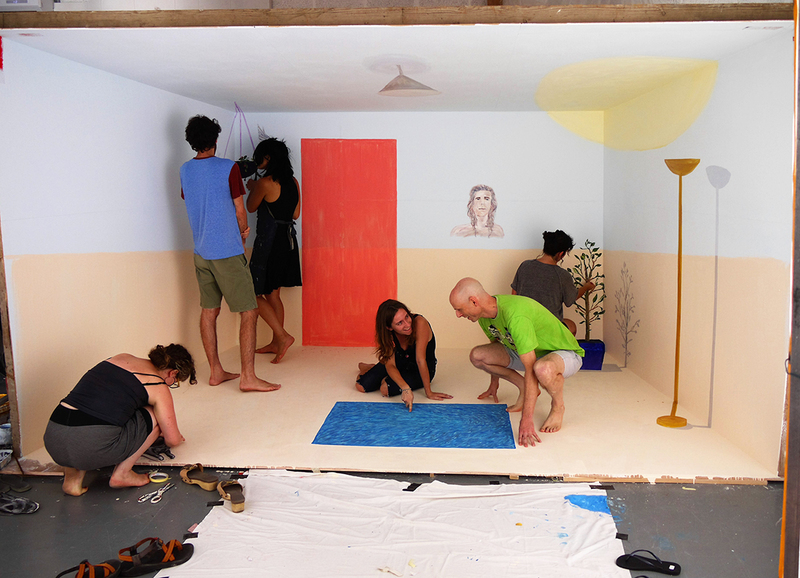 On the set, Platnic and his staff, Avigail Aharonson, Nava Harel, Ayala Shai and July Fox Yahav, painted and shifted the different props and scenery, in a somewhat technical manner, but the idea behind the work roots back to Irian Jaya, Indonesia. On a visit there, Platnic witnessed a ritualistic battle between two villages, the villagers' faces and bodies painted traditionally. This sparked Platnic's interest in the body as art, and incorporating his own body in his art through ritualistic body painting. He also took an interest in different cultures and, inspired by the French anthropologist Levi-Strauss, illiterate cultures. In this work, Platnic turns to the Bible, a building block of our literate culture, to explore our notion of the world's creation. Perhaps the biblical Genesis story influenced humankind on how to act within the world, and what to do with all created. The project also discusses Genesis on a more metaphorical level, and raises the notion of the artist as Creator. Art is a language and, according to Platnic, each artwork recruits "words" from other artists, thus the artworks converse with each other and are not created in a vacuum. The video work will run for about 20 minutes, like a moving painting, both an artwork and an entire world. Platnic and his crew working on set.